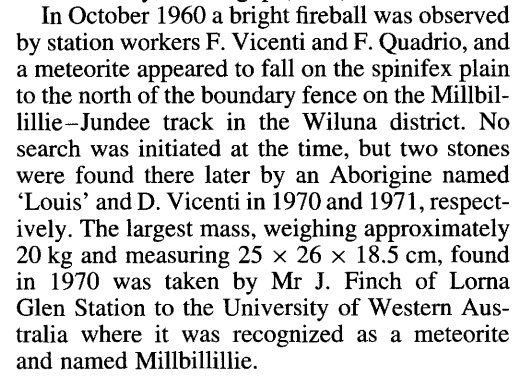 Millbillillie is an odd one; it was apparently witnessed to fall in October 1960, but no one bothered to track down the fireball until ~ a decade later. 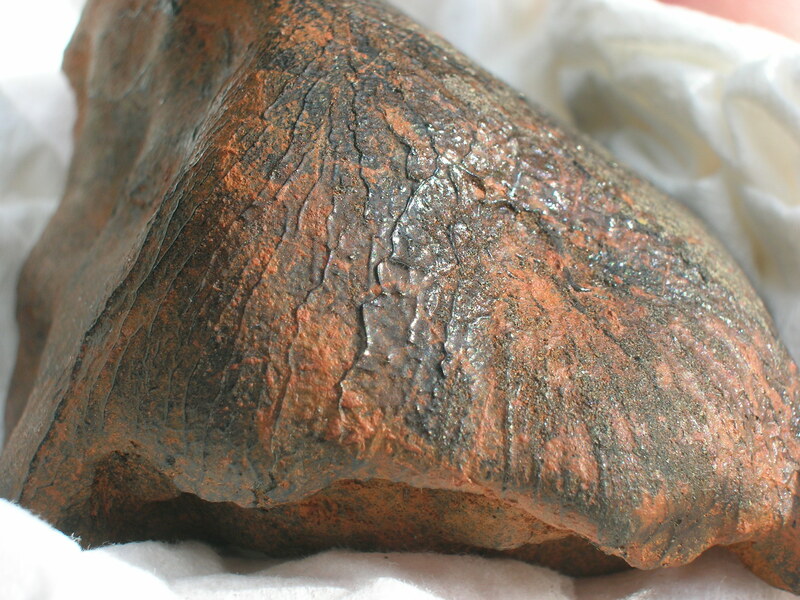 From The Western Australian Museum meteorite collection, by Alex Bevan. 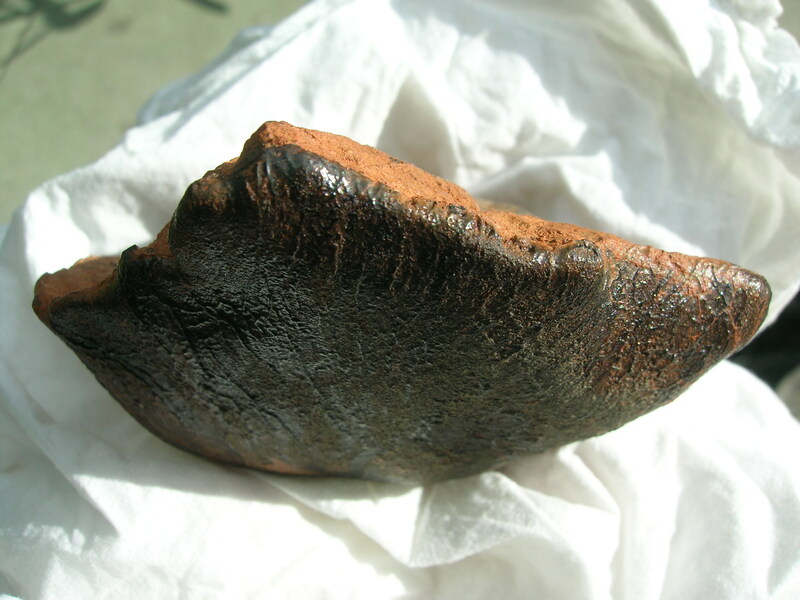 This was an early purchase for us; after hearing that Walter Zeitschel was letting some specimens go, we contacted him and eventually obtained this stone. It weighs 108.5 grams and is highly oriented. Most Millbillillies exhibit flow lines, but this stone has a truly aerodynamic shape.